From the #1 New York Times bestselling author of the smash bestseller Orphan Train, a stunning and atmospheric novel of friendship, passion, and art, inspired by Andrew Wyeth's mysterious and iconic painting Christina's World. "Later he told me that he'd been afraid to show me the painting. He thought I wouldn't like the way he portrayed me: dragging myself across the field, fingers clutching dirt, my legs twisted behind. The arid moonscape of wheatgrass and timothy. That dilapidated house in the distance, looming up like a secret that won't stay hidden." To Christina Olson, the entire world was her family's remote farm in the small coastal town of Cushing, Maine. Born in the home her family had lived in for generations, and increasingly incapacitated by illness, Christina seemed destined for a small life. Instead, for more than twenty years, she was host and inspiration for the artist Andrew Wyeth, and became the subject of one of the best known American paintings of the twentieth century. 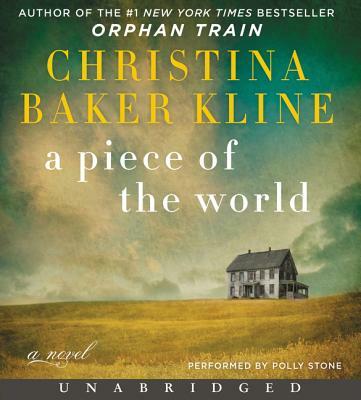 As she did in her beloved smash bestseller Orphan Train, Christina Baker Kline interweaves fact and fiction in a powerful novel that illuminates a little-known part of America's history. Bringing into focus the flesh-and-blood woman behind the portrait, she vividly imagines the life of a woman with a complicated relationship to her family and her past, and a special bond with one of our greatest modern artists.